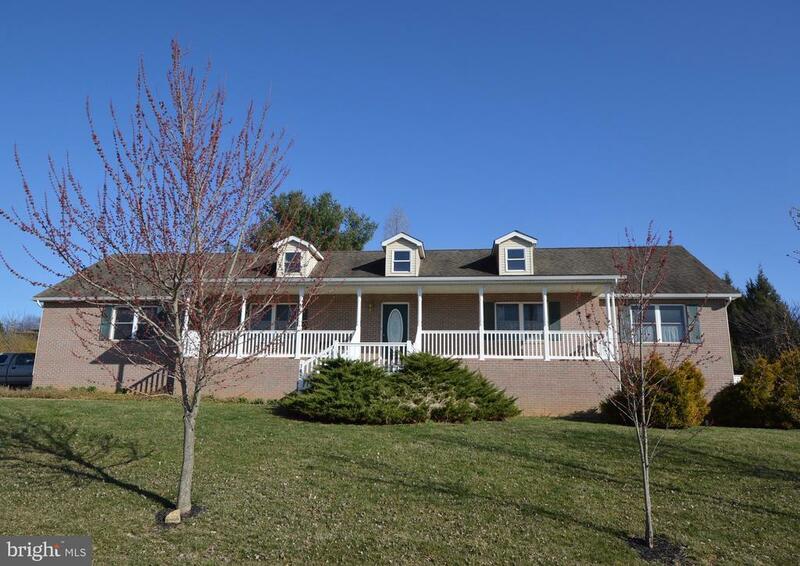 Situated on a corner lot this home offers views overlooking Woodstock with the mountains in the background. It has a nice open floor plan for the Kitchen, dining and livingroom areas. Bamboo Floors throughout. Laundry on the first floor, wide central hall leading to the bedrooms. Very spacious master bedroom with adjoining master bath with jacuzzi tub, shower double vanity and lots of closet space. 2 additional bedrooms and a hall bath. Off the kitchen/dining area is a 12 x 24 3 seasons porch and 12 x 16 deck. There is a full basement ready to finish for additional space and includes bathroom rough in. There is access to outside and there is a 6 x 46 storage or bonus room under the large front porch. Come see this lovely home!